Financials -The Board’s review of the mid-year financials showed the USAF is financially sound and is expected to end the year on budget. Also, the drive to collect donations to the USAF to help celebrate Yamada Sensei’s 80th birthday was successful and Sensei was very pleased by his gift. Summer Camp Venue – The ownership of the Seaview Hotel changed hands during this camp. We have since found out the sale was to KDG Capital LLC of Florida. The hotel will continue to be managed by Dolce Hotels and Resorts by Wyndham and Troon will continue to operate the two 18-hole golf courses. Future plans include renovations of rooms and public spaces. Please know, the USAF has in place a contract for its 2019 summer camp and expects to negotiate a new contract for 2020 and 2021. DVDs and YouTube Channel – The USAF is no longer selling DVDs at summer camp. Instead, the intention is to set up a USAF YouTube channel where all past and future summer camp footage will be posted, for free access to the aikido community and the general public. The projected launch date for the YouTube channel is 2019. TC Members – Andy Demko & Steve Pimsler were re-elected to the Technical Committee for a new 4-year term. Etiquette for USAF and non-USAF relations – Instructors were reminded of proper etiquette regarding approval for a USAF member teaching at a non-USAF affiliated dojo (including Sansuikai) or inviting a non-USAF instructor to teach at a USAF dojo. The USAF instructor who is invited to teach by a non-USAF instructor/organization must contact Yamada Sensei for approval prior to making any arrangements (including travel). The non-USAF instructor/organization that invited the USAF instructor also must formally request permission from Yamada Sensei. 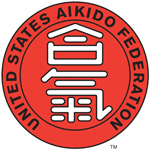 A USAF dojo must contact Yamada Sensei for approval if their dojo space is to be used by a non-USAF aikido organization. Yondan: minimum 4 years after Sandan if a practical test is to be taken; minimum 5 years after Sandan if promotion is to be by recommendation. 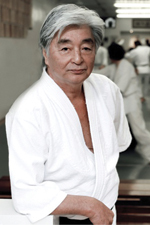 Yondan testing can only be done by a TC member. Shodan, Nidan, Sandan: typically promotions to these ranks are not done by recommendation, unless there is a special case; all people are encouraged to take a practical test for these ranks, and recommendations should generally wait at least 1 year longer than if testing. 7. Membership building, and how to assist dojos in increasing membership and the exposure of Aikido in general – The group discussion at the instructors meeting at camp focused primarily on the difficulty many dojos are experiencing in attracting and keeping new members, and in particular, young adult members. Several instructors volunteered to form a “Social Media” committee to brainstorm and research ideas about how to best use social media, both for the USAF as an organization, and for individual dojos. A report regarding this initial step is expected to be presented to the Board at the Florida Winter Camp meeting in November. 8. Revision of Ethics Guidelines – A committee of the Board is currently working on revising the USAF Ethics Guidelines and expects to finalize the guidelines by year end. We hope this helps you feel informed and up-to-date regarding the activities of the Board and the TC. As always, we thank you for your support and membership. The following are very important procedures I would like you to keep in mind, and it applies whether you are a member of the USAF or Sansuikai International. When it comes to organizing seminars, we must consider the USAF and Sansuikai International 2 separate organizations that must show a mutual respect towards each other. Whenever you are approached to teach a seminar outside your organization, especially if it is from a country other than your own, please remember to follow this proper etiquette: both you and the dojo inviting you should request permission from me (through the USAF or Sansuikai office) in writing before you accept the invitation. Also, this must be followed in the reverse situation – if you are inviting an instructor from outside your organization and especially from another country, it is your responsibility to not only write to me, but to also request from the person you are inviting that he/she write a letter regarding the invitation before the invitation is accepted. These are the correct steps to take, and when they are followed, everything flows smoothly. When they are not, it often puts my organizations and me in a very difficult situation. These are also simply good manners to follow and will reflect well on all involved. As long as you are part of the USAF or Sansuikai, you must consider the proper way to proceed in these situations, and not take matters in your own hands. Please follow these correct procedures. For any circumstances that involve dan testing at a seminar, if this correct path is not followed, the USAF will not or cannot take responsibility to assist with the business of promotions/registrations. Testing should not be given at any dojo or to any members that are not a part of the USAF or Sansuikai, and I should be approached regarding all testing and arrangements well before they occur. When this respectful process is observed, it will greatly help avoid conflict and create more harmony for everyone.